All the wide hotel rooms are different from one another, their walls are painted with light colors made of soil and natural pigments, typical in Tuscany. Awnings and poster beds fabrics come from small Tuscan artisan weaving factories while eastern silks are used in the main floor rooms. 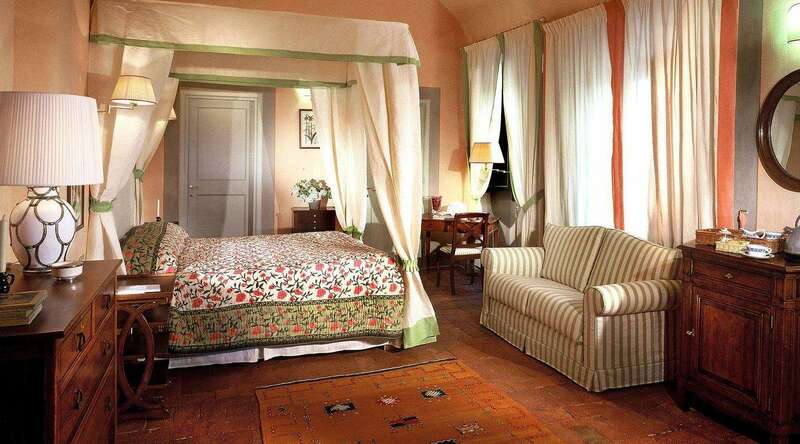 The elegant rooms in the relais hotel main floor overlook the Chianti hills and have antique furniture and fabrics coming from Tuscan artisan weaving factories.